Imogen's Typewriter. : My Blogmas Round Up! Well it's over! Blogmas and Christmas madness with the family fun, presents and food. Now we just wait for the Sherlock Special on the first of January! 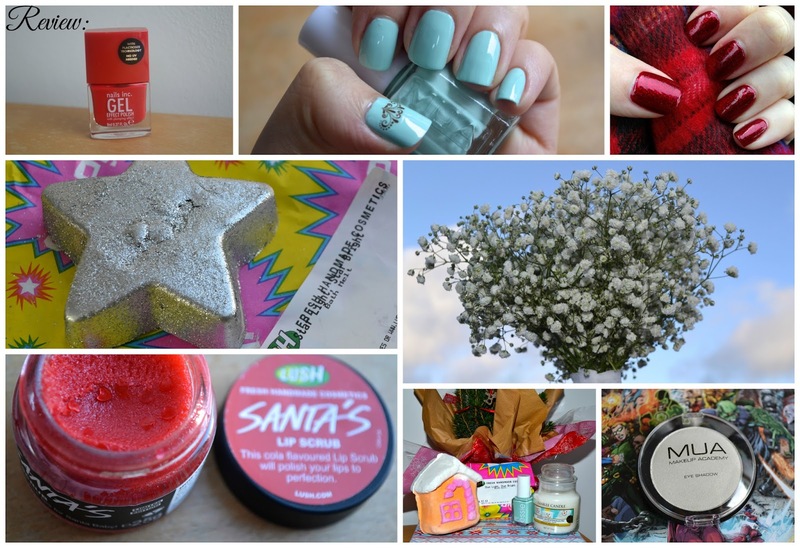 So I thought I would do a little round up of my Blogmas posts in case there's any you missed. Day 3: By the End of 2013..
Day 4: A Festive Lush Haul! Day 5: imPRESS Press-on Manicure Review! Day 6: My Favourite Christmas Music! Day 8: The Decorating Begins..
Day 9: Review: Lush's Star Light, Star Bright Bath Melt! Day 10: Best Christmas TV Specials! Day 11: Review: bigRuby Nail Tattoos! Day 14: Review: Lush's Santa's Lip Scrub! Day 15: Bloggers Secret Santa! Day 18: A Winter Wedding! Day 19: A Christmas Tag with my Cousins! So I managed 20 Days which isn't too shabby! Did you do Blogmas? My fellow #bigblogmasproject bloggers: Cole, Lydia, Rebecca, Dixx, Kirsty, Celine, Kate, Hannah, Uggynog, Amy Lou, Holly, Kel, Bex, Charlotte, Sammy, Sophie, Kelsey, Charlotte, Bethany, Jesslyn, Laura, Dayna, Eloise and Mary, Rae, Jessica, Courtney, Tara, Row, Danni, April, Jordan, Shaunie-Leigh, Laura, Chloe, Gaby, Jess, Siobhan, Aaliyah, Steph, Sophie, Amelia, Jules, Rebecca, Cerys, Orla and Christine, Lora, Strawberry, Taylor, Marina, Lianne, Nikki, Kim, Maria and Pini, Alex, Lucy, Naomi, Sarah, Natalie, Elizabeth, Romina, Aqeela, CMWB, Ali, Halli, Charlotte, Kammi, Hannah, Kendal, Cailin, Shona, Victoria, Laura, Jess, Joni,Rodneya, Becca, Ambi and Beth. it's sad that christmas is over :( but now got 2014 to look forward too! There's always a lull after Christmas. All the doom and gloom of December without the excitement!